Before each entry will pop up 5 second loading of ModPE script. Wait. After loading, find the inhabitant in every village and come close to him. You will see a button "Trade". Click on the button which will open a trade window with resident. Every resident offers unique products for sale (depending on their class ranking), which you can buy using emeralds. 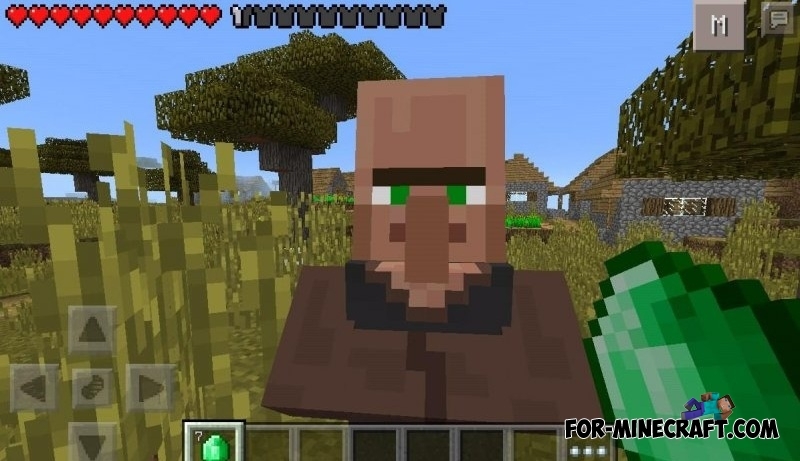 For example, the resident can sell you one diamond helmet at the price of 7 emeralds. You can scroll a list of items using the buttons with the sign ''>''. Warn - this is a very early version of the mod, so there may be bugs and errors! 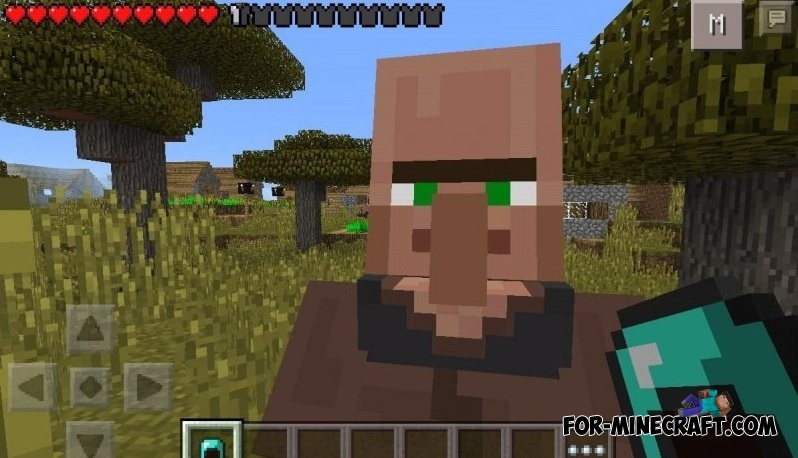 Great mod! I hope different resolutions are added, because i play on a tablet. All of the buttons are small and spread out, so i hope a larger display is added so it's a little easier. It's perfect besides that.